This is a review of Star Wars: Bloodline by Claudia Gray. It contains only minor spoilers. Fed up with the stagnant Senate of the New Republic, and on the verge of stepping away from it all in favor of spending more time with her husband, Leia Organa, princess and senator, decides to undertake a new mission — Investigating reports of a criminal enterprise rising to fill the power vacuum left behind by the once-dominant Hutts. Leia is joined in her mission by a senator from across the aisle, Ransolm Casterfo. The deeper they dig, suspicions arise that the criminal operation they are investigating is being controlled by a larger and more powerful entity — One with a dark purpose. At first blush, Casterfo is an unsavory character, and he does not earn an immediate fan in Princess Leia. Certainly not with his large collection of Empire-era artifacts, and definitely not with his Centrist view of how a bigger government is best to keep everyone in line. As a Populist, Leia believes the role of government should be limited, and individual worlds should determine their own fate. After an incident where Casterfo rushed to Leia’s aid, she begins to look at him in a different light. Ransolm earns her respect and, eventually, her trust. He becomes an invaluable part of the overall mission, alongside Leia’s aids, Greer Sonnel and Korrie Sella, and her pilot, Joph Seastriker. In the wake of that trust, however, comes misunderstanding and betrayal, and the tragic fallout — The ramifications of which shape events to come. Right out of the gate, Claudia Gray captures Leia perfectly. 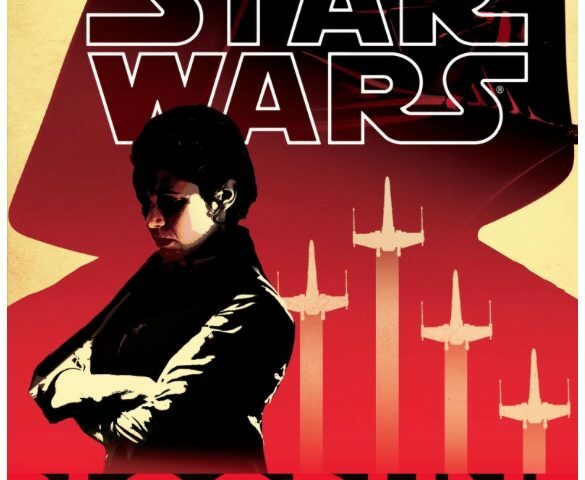 Bloodline takes place approximately six years prior to the events of The Force Awakens, and the Leia we meet in this book is very close to the Leia of the film. Not quite as weighed down by circumstances — the loss of her son, marriage, and the rise of the First Order — but the seeds are there. I’ve always been fond of Princess Leia, but Bloodline created in my heart a real sense of affection I’d not felt before. With that newfound affection comes a profound sadness when Leia references her son, Ben, and shares intimate moments with her husband, Han Solo. Ben is still off training with his uncle, Jedi Master Luke Skywalker. Both are out of the range of communication, and you can sense how much Leia misses them. Han swoops in at a most opportune time, but he is mostly off-world on the racing circuit, while Chewbacca is home with his family on Kashyyyk. Aside from a few close friends — and the ever-present C-3PO — Leia is very much alone. She never comes off as maudlin, however. Her trademark strength and stoicism — with a twinkle in her brown eyes — remain intact. The tragedy of Alderaan and the shadow of Darth Vader loom large in Bloodline, but are nicely balanced with the enduring light and inspiration of Leia’s adoptive father, Bail Organa. Given Leia’s position as a senator, there is a fair amount of politics in Bloodline clarifying much of what was necessarily left out of The Force Awakens. That said, the storytelling is such that even the political discussion and action (or inaction) proves fascinating. Her ability to move a story along in a straightforward, yet compelling, manner is a credit to Claudia Gray’s considerable skill. Certain phrases and scenes call back to the prequels, while Leia’s recollections of her past fill in some gaps and provide additional context for the original trilogy — and events yet to occur in The Force Awakens. It’s a nice balance that Star Wars fans should appreciate. With her previous book, Lost Stars, and now Bloodline, Claudia Gray has quickly become an author whose work I look forward to immensely. You can purchase your copy of Star Wars: Bloodline here. You can read Dan Z’s review of Bloodline here, and Matt Moore’s review of the audiobook version here. Previous article Marvel Thanks Retailers for Another Successful FREE COMIC BOOK DAY! I’ve come to the Internet to do a search to see whether this character has yet been portrayed by any actors. I’m not sure if he has had any roles in any of the TV series, or maybe a passing came on in TFA …. I have not found the result yet because I ended up here on this article, but I keep thinking about how amused I’ve been over the way my mind projects an image of a guy from some recent sitcom … can’t think who/what. Driving me nuts, actually. I think it’s one of those similar to 30 Rock types.